As part of the “500,000 years of solar irradiance, climate and vegetation changes” Natural Environments Research Council funded (NE/K005294/1) project we have produced a wall chart explaining the type of research we do and how it can help to place on-going, and projected, climate change in context. The wall chart is designed for use in schools and universities. 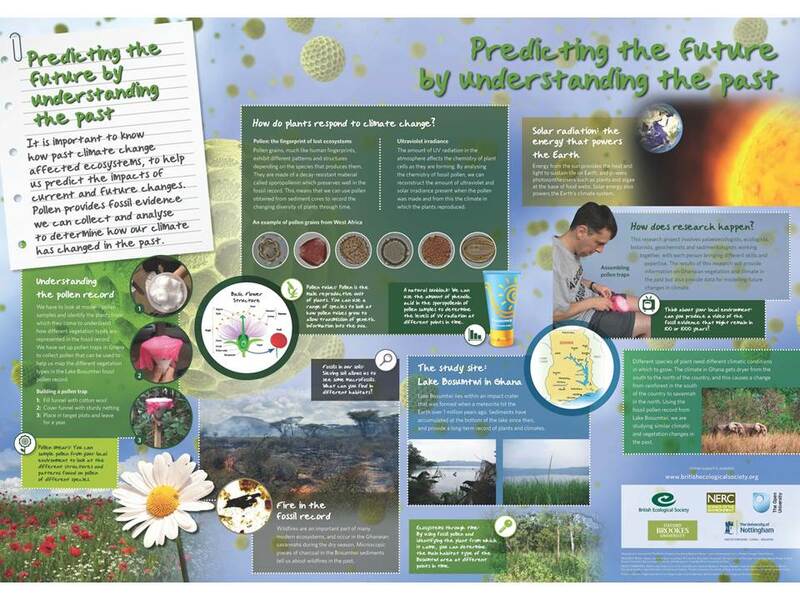 To obtain a copy of this, and other wall charts, please contact the British Ecological Society (direct wall chart link here).